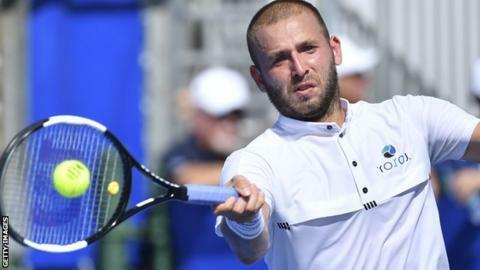 British number three Dan Evans reached the Delray Beach Open final in Florida with 3-6 6-2 6-3 win over world number nine John Isner of the USA. The 28-year-old world number 148, who returned in April 2018 from a one-year drugs ban, is a qualifier in the event. He fought back to beat last year's Wimbledon semi-finalist Isner, 33, in an hour and 32 minutes. Evans, in only his second ATP final appearance, will face unseeded Moldovan player Radu Albot, 29. World number 82 Albot, who beat Nick Kyrgios in the round of 16, came back from a set down to defeat American Mackenzie McDonald. Albot lost the first set 6-3 but was clinical after that, taking the second and third set 6-0. In Evans' only previous ATP final two years ago, he lost at the Sydney International to Gilles Muller.